Welcome to the third running of Best Aussie Vans, the country’s largest showcase test of new, Australian-built caravans. The bug has bitten. 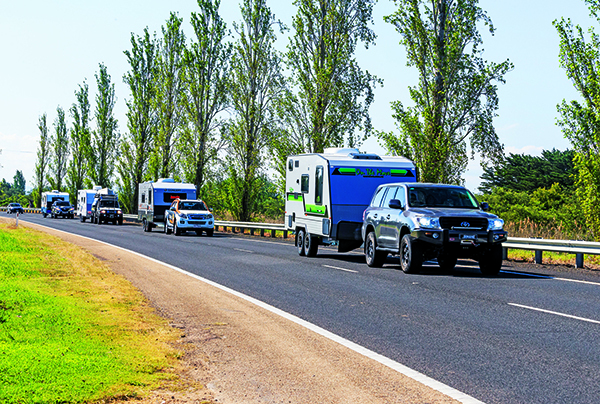 You’ve tired of flying here, there and everywhere for your holidays and have come to the obvious conclusion: travelling by recreational vehicle is the best way to see the real Australia. Arriving at this point, however, is the easy part. Now you’re faced with the task of finding the right van. And that’s where Best Aussie Vans comes in. We assembled 12 of the best vans on the market today and put them through their paces in Victoria’s magnificent East Gippsland region. But first we needed to settle on a base camp. 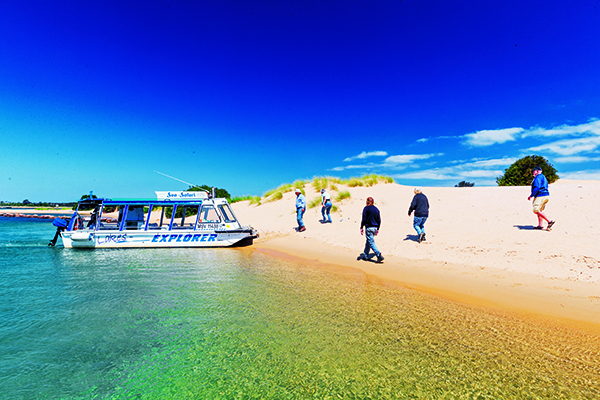 We knocked on the internet’s metaphorical door and decided on Bairnsdale Holiday Park, an unexpectedly serene spot on the doorstep of expansive lakes, foodie hotspots, and breathtaking beachside towns such as Metung. This region is as diverse as it is delightful. 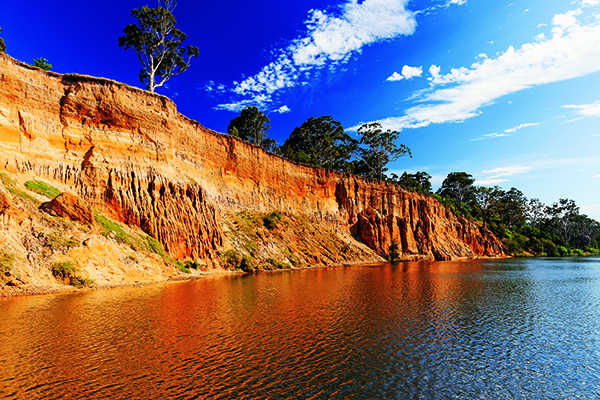 An exploration of Victoria would be incomplete without taking in East Gippsland. We were, however, there to test vans, so the sightseeing would have to wait. The photography and filming crew was a well-oiled machine; all UHF radios, camera flashes and friendly smiles. The judges, meanwhile, took their time on each van, combing them for imperfections and illogical layouts. But these vans were standouts – at Best Aussie Vans for the very fact that they were already well built or brought something new and exciting to the market. Come Wednesday, all vans converged on Howitt Park, Bairnsdale. With great weather, a musician and the local Lions Club flipping burgers and serving coffee, it was a mini caravan carnival. Word spread and, before long, the park was alive with locals, who took the opportunity to inspect the vans and – we’re told – several made serious purchasing inquiries. The remainder of the event swept past, the sun poking and prodding many of us into the holiday park’s pool to cool off between jobs. And as the vans departed – having been thoroughly judged, filmed and photographed – there was only one thing left to do: tally the results. We couldn’t score 12 vans without first laying some ground rules. Comparing vans, regardless of how similar their price point, can be like comparing bananas with kiwi fruit. Our 10-point scoresheet aimed to ensure a level playing field across the board. Taking everything into account, does this van offer good value for money? How many features are included, and what are the dimensions of the van? Is it a lot of van at a competitive price and does it give buyers what they’re paying for? Is this van suitable for extended periods of remote touring, or a couple of days of free camping? How does the van perform in its intended purpose, and is it adequately fitted out and built for the purpose? Is the van visually appealing inside, and has enough thought gone into the layout for easy, convenient touring? Is there enough storage, and is it designed sensibly? Whether the van has a fibreglass or aluminium composite finish, or simply aluminium cladding over a timber frame, is there enough attention to detail? How does the cabinetry and upholstery rate? Will the van fall apart at the first corrugations or is it a well-built rig? How does the van rate in terms of mod cons? Is there anything new and exciting about the design or build? Has the manufacturer employed a feature or manufacturing technique not seen before, and is it effective? As the managing editor of Caravan World, Max has lived and breathed caravans for more than eight years. He’s towed many different types and models to places such as the Red Centre, the Top End, the north coast of NSW, the Sunshine Coast and more, and in that time learned a thing or two about what makes a good van. His pride and joy – besides his kids – is Ruby, perhaps the most famous red 80 Series LandCruiser in the country. Max’s philosophy on life is simple: work to live, don’t live to work. And if that doesn’t work, go fishing. You might call CW staff journalist Peter a late starter, receiving a caravanning and camping baptism in his mid-40s. But roll on nearly a decade and he’s done his utmost to make up for lost time. 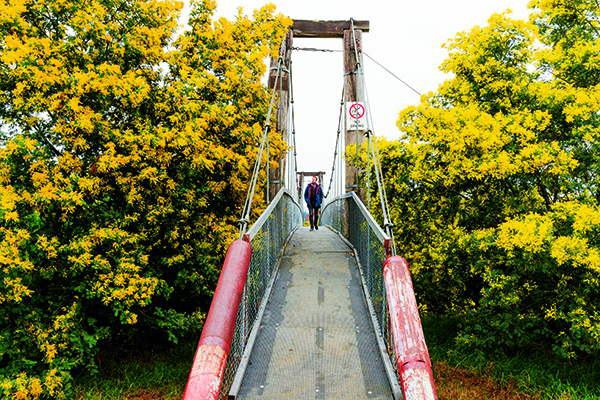 Initially, Gippsland was the primary stamping ground, free camping in idyllic bush settings such as Dargo and Licola, beside the Wonnangatta and Macalister rivers respectively. His first few expeditions were spent in tents, but he was soon hauling a Jayco Sterling behind a 1991 Mitsubishi Pajero. Pete relishes the freedom and relaxation of the great outdoors – just the feeling of being ‘a million miles away’ from the rat-race. 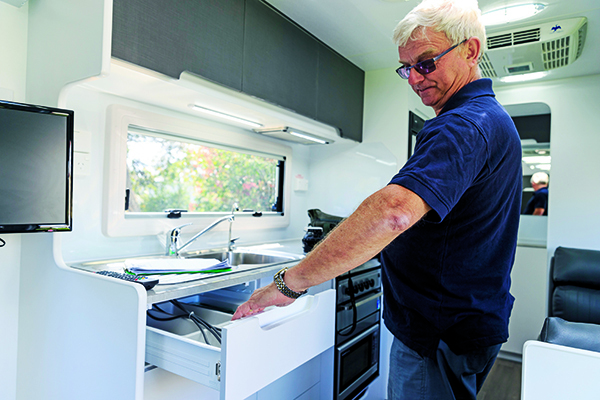 Field editor Malcolm Street began caravanning in the early 1970s, first in a Viscount and later in a York, the former towed by a Holden Kingswood. 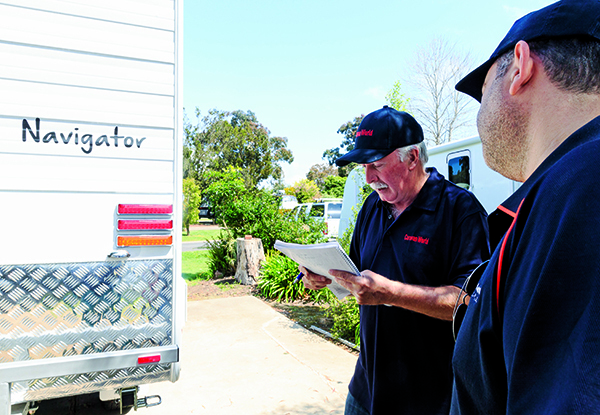 Malcolm has RV’d extensively across Australia, New Zealand and Britain. He became an RV journalist in 1999 and joined CW in 2002. Each year, he reviews around 40 vans and motorhomes in Aus and NZ. Yes, he’s a well-travelled bloke with no shortage of campfire opinions about how a given van could be better put together. Phil is our resident tow-tester and general tech head. He’s also the former owner of a 1979 Viscount Grand Tourer, which he restored before selling it to make room for his next project: a mid-1980s Windsor Windcheater, which was the subject of many Tech Talk columns. Sadly, that van has recently left his garage – it’s gone to a good home, we’re assured – and with baited breath we wait to hear of his next towable purchase. 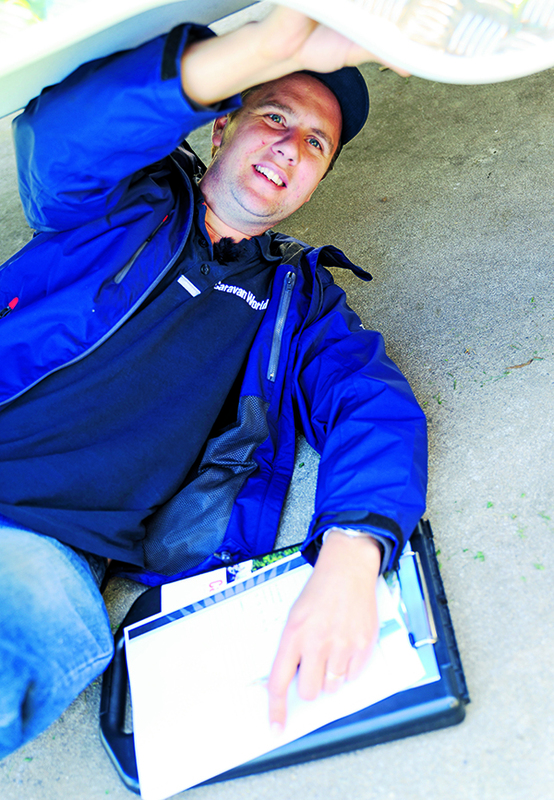 Phil has been a motoring writer for more than 20 years. He has tackled most automotive and technical subjects throughout his media career, which has seen him contribute to such illustrious journals as Wheels, 4X4 Australia and Motor. 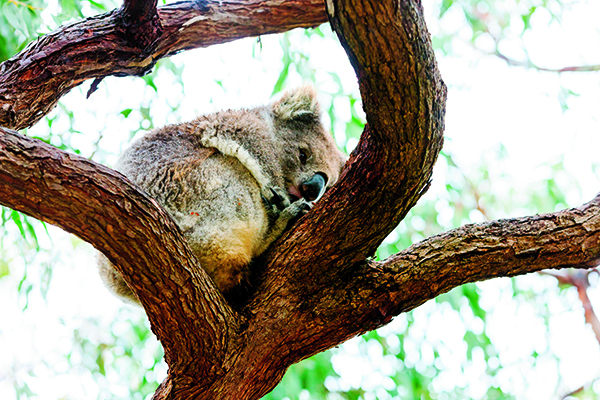 Stay tuned over the coming days when we unveil the finalists and winners of Best Aussie Vans 2015.